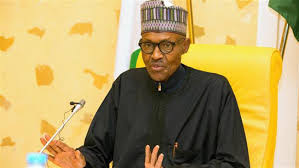 There are many questions to be asked after president Buhari media address to Nigerians early today, after he’s been away for more than 100 days in the United Kingdom on medical vacation. But the media RED LINE issue in the his address is what the president should come and shed more light on, because by interpretation is that the president is drawing a danger line on the use of social media, well if the president has forgotten Nigerians would remind him that the use of social media by active patriotic Nigerians is one of the reasons why he is in power today. One of the major tools of the All Progressive Congress use as an opposition party is the social media, the APC was very proactive in the use of social media and when they found any useful information to use as opposition to the Government. It is found on social media and mainly propagated first by APC, many comment by the people in power when it was an opposition party was brought to awareness of the people by the APC by the use of social media, many comments were over exaggerated by the use of the social media. If our democracy is copied from United State of America as many claims then for President Buhari to issue a red line on social media is barbaric because this is nothing compare to what media attack other democratic leader take on social media.